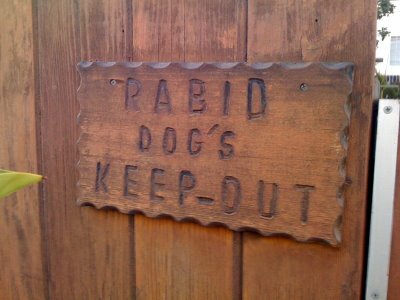 Play in the Rabid Dog’s Keep-Out! 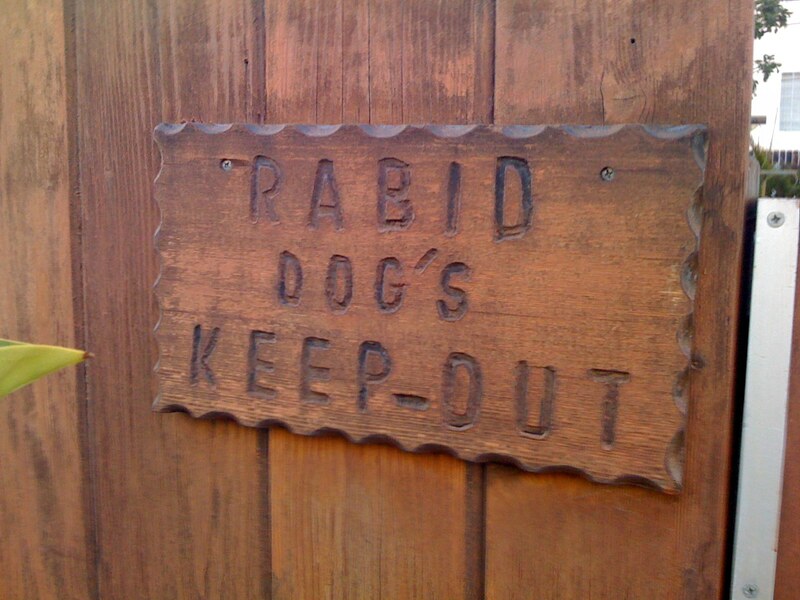 I think the apostrophe on this sign is being used correctly. Dude’s nickname is Rabid Dog. It’s his place. He wants people to keep out.